I was just looking back upon some of the topics I have covered in my 100+ posts here at The CAD Geek. Naturally I have covered a lot of topics, but one topic I was embarrassed to see virtually unexplored here was Dynamic Blocks. Over the last several years I must say I have become quite a fan of Dynamic Blocks. In fact it seems my name has become synonymous with Dynamic Blocks here at Timmons. So there you have it, today I am breaking my silence on Dynamic Blocks (not that it was intentional). Especially as I was getting started with Dynamic Blocks, I personally found using the pre-build Parameter Sets easier than manually assembling Parameters and Actions myself. Consequently it wasn’t until I began venturing into the more advanced functionality of Dynamic Blocks that I discovered a little Parameter that has since become one of my favorites – the Alignment Parameter. Just as its name imply’s, the Alignment Parameter does just that – aligns your block to some linear entity in your drawing. With it, there’s no more moving, rotating, and hoping you got everything lined up right. Best of all, it’s probably the easiest Dynamic Block Parameter to configure. Once you’re in the “Block Editor” find the “Block Authoring Palettes”, and select the “Parameters” tab. From the “Parameters” tab find the “Alignment Parameter” tool button. 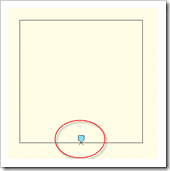 After clicking the tool, you will be prompted to “Specify a base point of alignment”. Generally, I select my block insertion point. 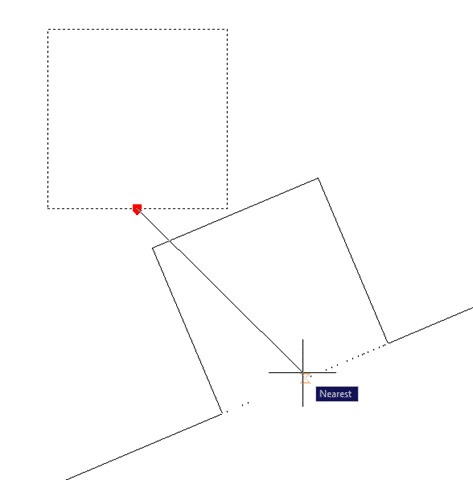 To define your alignment direction, trace over the edge you wan to make your block perpendicular/tangent to. At this point you have created a Dynamic Block. You should see what looks like the elevation of a Monopoly house displayed in light blue. This is your alignment parameter. 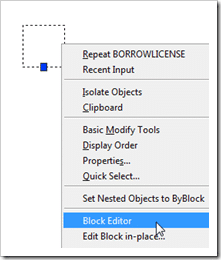 At this point you can [Close Block Editor], which will return you to your normal AutoCAD screen. If prompted, be sure to save changes to your block. When all is said and done you now have a block that to align to another line is as simple as a grip edit. have you come across this somwhat weird behaviour; sometimes (with no rhyme or reason) a dynamic block, whether rotated or aligned ‘manually’ or by use of the alignment or flip parameters, will lose either (or both) it’s name and it’s dynamic behaviour? There are many forum posts querying this phenonmenon, Autodesk seem very reticent about it. Forum posts describing it date back to 2006. I wondered if you knew anything about it or how to make sure you avoid it? 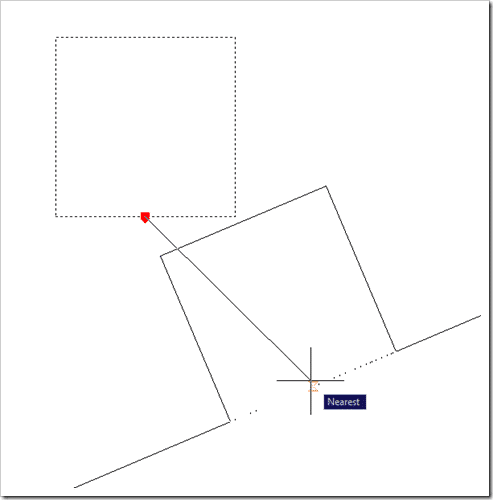 Jason – Did you answer [Yes] to updating the existing blocks in your DWG? 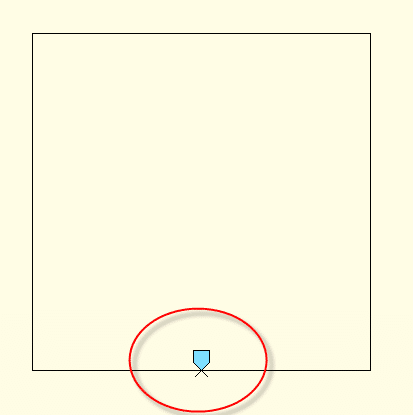 You may be better off creating & testing the block in a fresh DWG. Then use something like Tool Palettes or Design Center to insert into your DWG. I’m very new to dynamic blocks. 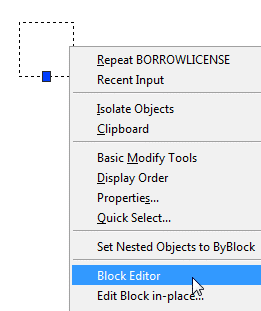 When I edit an existing block, such as you did above, the new features such as the allignment parameter do not insert when i bring the block into a new drawing. What am I doing wrong?